DHLExpress.nl and Zorginnovatie both nominated as best Drupal project of the Benelux. The Drupal Splash Awards aims to spotlight the best Drupal projects and community contributions from Belgium and The Netherlands. 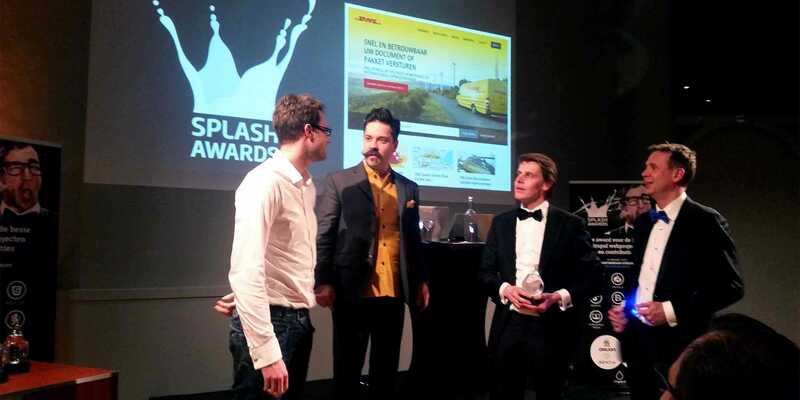 One Shoe’s projects DHLExpress.nl and Zorginnovatie.nl both got nominated for the Splash Awards 2016. With the Splash Awards, Drupal agencies and individuals who have achieved extraordinary results get special recognition from inside and outside the Drupal community. As an expert in national and international express shipments, DHL Express understands that a shipment is more than just a parcel: with its logistics services, DHL Express is the connecting element between companies and customers. For this reason, DHL Express wanted to devise an advanced and user-friendly platform that would put the customer at the forefront. This means that the focus should be on the visitor and that the new DHLExpress.nl offers optimal service for the shipment of documents and parcels. As a result, we established together with DHL Express a completely renewed responsive and multilingual online environment (February 2016) based on the Drupal 7 CMS: DHLExpress.nl. Zorginnovatie is a state-of-the-art national co-creation community based on Drupal that brings healthcare innovation supply and demand together. The new Zorginnovatie.nl offers a complete overview of all healthcare innovations and in addition provides the opportunity to bring parties together, test ideas in the marketplace, and expand the network around innovations. One Shoe is a large advertising and digital agency based in the Netherlands. The agency is specialized in open source Drupal web and mobile development and it was one of the first companies in the Netherlands to adopt Drupal professionally. In the past 10 years, One Shoe has become a well-known Drupal community member and a regular sponsor/speaker at international Drupal events like DrupalCon. Nowadays One Shoe works for a broad range of unique international brands and companies such as DHL, Meda Pharma, Sanofi and Liberation Route Europe. The winners will be announced on March 10th, during the awardshow in Utrecht.